Steve is a third-generation real estate broker who has been in and around the real estate business his entire life. 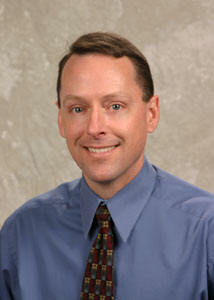 Following his graduation from California State University, Chico, Steve obtained his real estate license in 1990. He worked with a large brokerage firm in Petaluma for nine years, and then started Westgate Real Estate in April 1999. Since reestablishing Westgate, Steve and his company have received many awards and recognition for outstanding service in the real estate profession as well as community service awards. In 2004, Westgate was named Petaluma’s Small Business of the Year by the Petaluma Chamber of Commerce. In 2006 Steve was honored by his peers with the Edjar K. Hansen Award as Petaluma’s Outstanding Realtor. Steve has served the real estate community throughout his career in many ways: twice president of the Petaluma Chapter of Realtors, eight years on the North Bay Association of Realtors grievance and professional standards committees, eight years on the BAREIS MLS Budget and Audit committee (two years as Chairman), and three-consecutive terms as an elected member of the BAREIS MLS Board of Directors. Steve is a member of the Rotary Club of Petaluma and the Petaluma Elk’s Club. Literally born into the real estate industry Steve’s first home was the original Westgate Real Estate office owned by his father Martin. When Steve is not in the office or with a client, Steve enjoys outdoor recreation with his wife Carolyn, and their two children Natasha and Nicholas.